Fantastic Burrito Casserole - Naturally Gluten-Free and with Vegan Options! 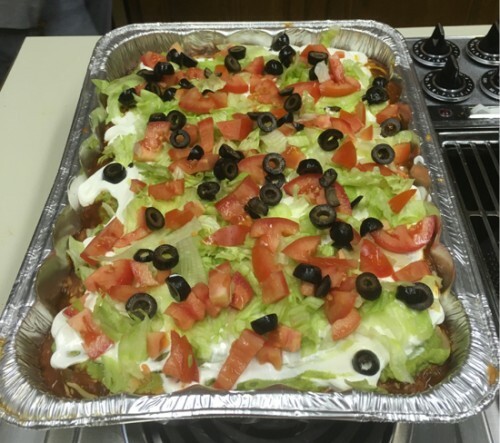 We invented this burrito casserole, and so many people have asked us for the recipe that we decided to write it up for everyone! It's sort of like a Mexican lasagne (Mexican lasagna?) We like to serve it with a side of salad and some cornbread!